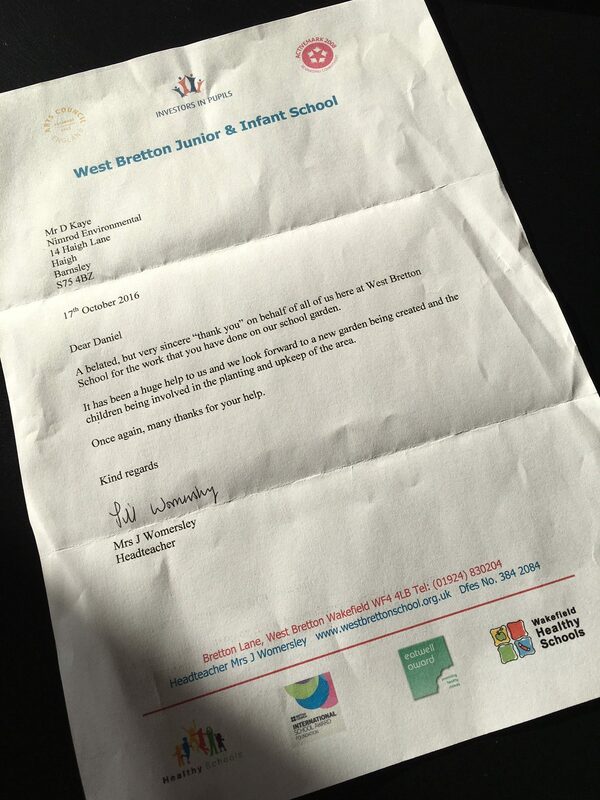 We received a lovely Thank You letter from West Bretton Junior & Infant School where we carried out some free landscaping for them at the start of September. 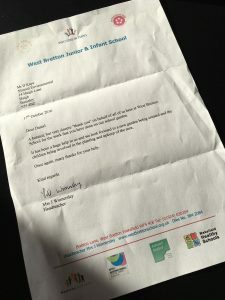 “…very sincere thank you on behalf of all of us here at West Bretton School for the work that you have done on our school garden. We are aware of our Corporate Social Responsibility (CSR) and like to contribute to the local community whenever the opportunity arises. 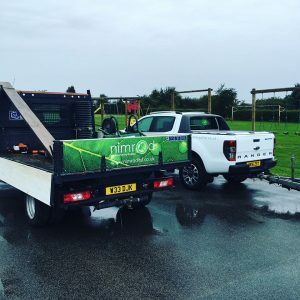 For instance, our wood donation to the art projects at the Yorkshire Sculpture Park, read more here. Here are some photos of our day at the school. 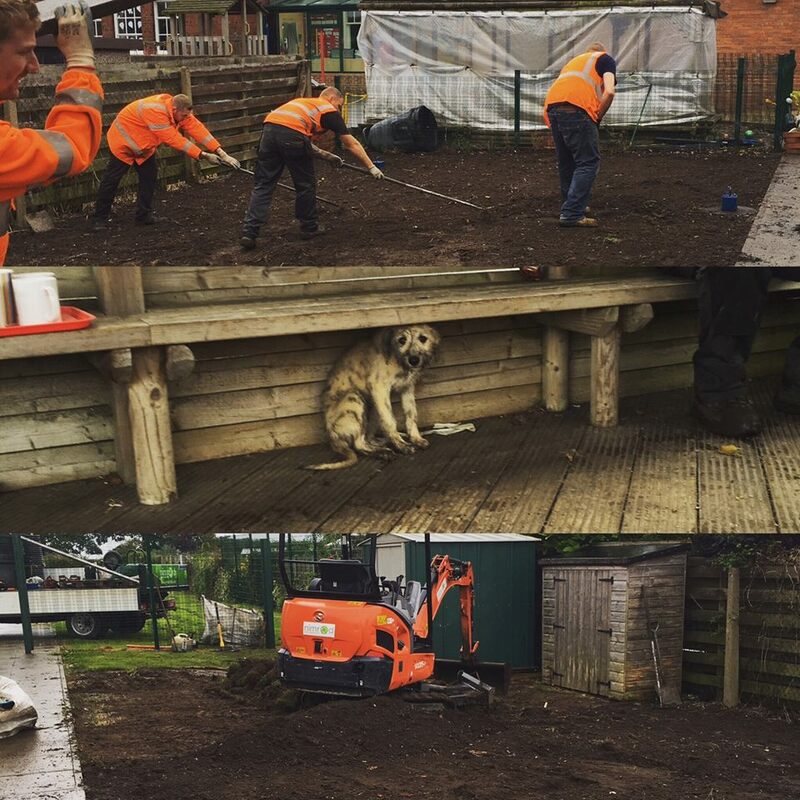 It was the puppy’s first day on the job, although she was not impressed as it rained! 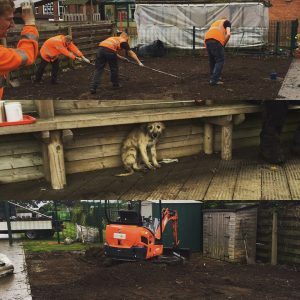 Some busy at work…. some not!